Gerard Butler, Brenton Thwaites and Nikolaj Coster-Waldau star in the Egyptian mythology epic Gods of Egypt, inspired by the classic mythology of Egypt. 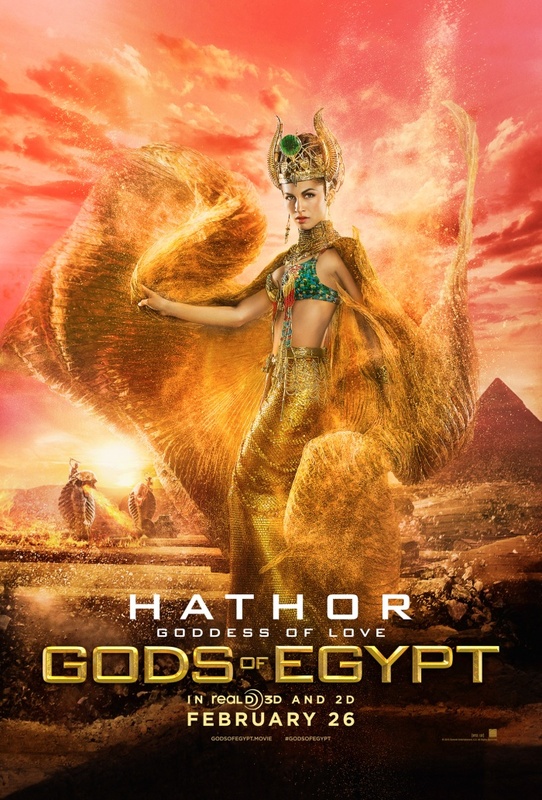 Watch the trailer and check out the character posters below! 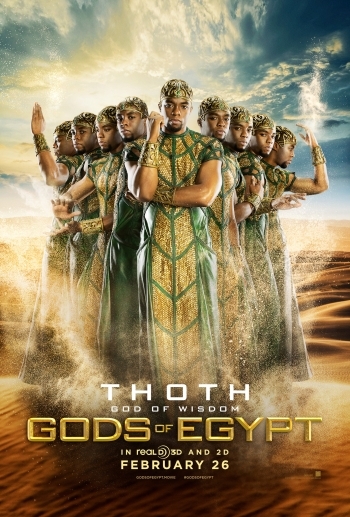 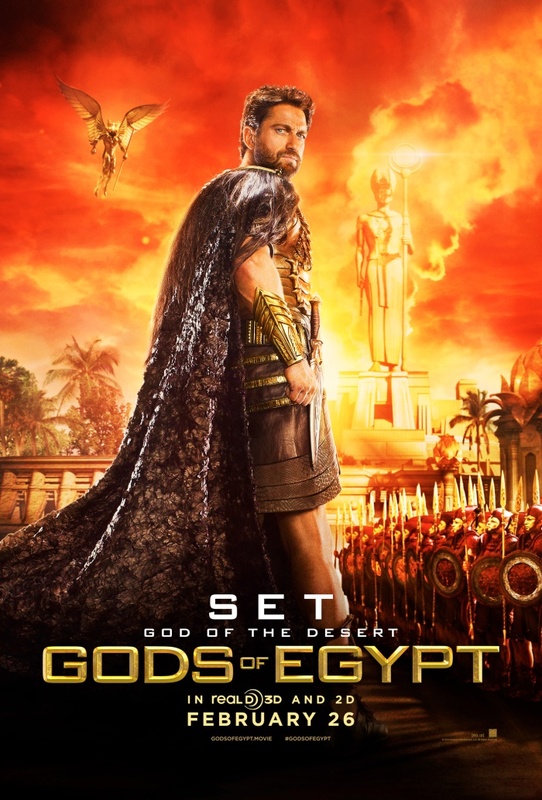 In ‘Gods of Egypt’, Bek (Thwaites), a mortal thief, enlists the aid of the powerful god Horus (Coster-Waldau) in an unlikely alliance against Set (Butler), the merciless god of darkness. Magic, monsters, gods, and madness reign throughout the palaces and pyramids of the lush Nile River Valley in this sweeping action-adventure inspired by the classic mythology of Egypt. With the survival of mankind hanging in the balance, an unexpected hero undertakes a thrilling journey to save the world and rescue his true love. Set (Gerard Butler), the merciless god of darkness, has usurped Egypt’s throne, plunging the once peaceful and prosperous empire into chaos and conflict. 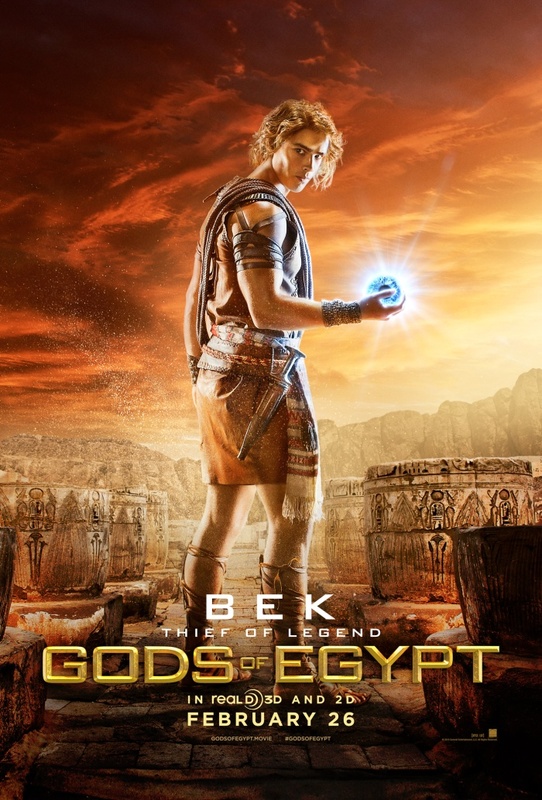 With only a handful of heroic rebels opposing Set’s savage rule, Bek (Brenton Thwaites), a bold and defiant mortal, enlists the aid of the powerful god Horus (Nikolaj Coster-Waldau) in an unlikely alliance against the evil overlord. 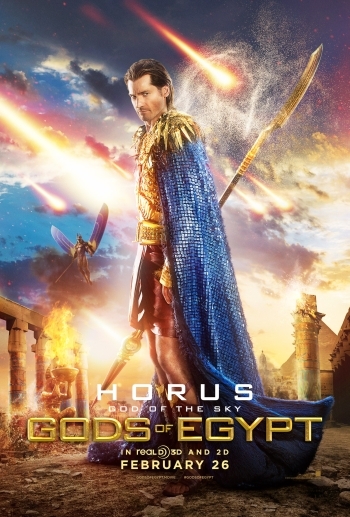 As their breathtaking battle against Set and his henchmen takes them into the afterlife and across the heavens, both god and mortal must pass tests of courage and sacrifice if they hope to prevail in the spectacular final confrontation.